atelierniSHASHA: Customizing your own Dolls - a way to appreciate them even more! 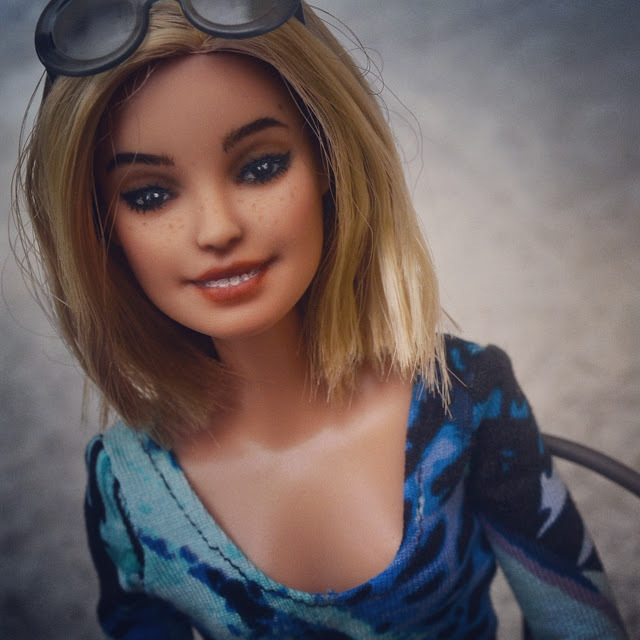 Customizing your own Dolls - a way to appreciate them even more! The past two work weeks, on the other hand, I finally tried repainting and rerooting my dolls. And I am so happy I did! Tamica, my first reroot (post here) was really adorable and I realized that if only we give extra time for our dolls, like customizing them, we find so much more value in our collection. My four successful repaints - Tamica, Lola, Ella and Aki - according to my standards LOL! With the success I felt with my first try with Tamica, I went on with the second repaint and reroot candidate the next day. However, it was a sad mess because I forced myself to use the existing (very short to work with) hair she already had and add to that, tried doing a fringe - which is another sad story on its own. and would rather create much better reroot and repaint plans with her for the future. On the third day, I moved on and decided to work on Ella. I loved Ella's original faceup - she was a constant favorite in my photo shoots but I thought she would be even more special if she was OOAK. After a day of painting and sketching, she's finally finished and was able to catch a good sunset lighting for her little photo shoot. ... and sassier. Tee hee.. I was just overwhelmed in a positive way with the joy I felt after seeing my two repainted gals. "I wanted to do more repaints!" - I declared. I went on and picked one of my Bambi MTM gals to give her some personality. and I wanted mine to be an OOAK. I only bought the MTMs for their bodies. Perhaps, repainting them would make them adorable, right? I think Lola has become her own "woman" and is beyond adorable. This sassy lady loves her new "personality"
And then came Friday, and my gal on queue was Briana or Bree. but there was something missing in her. So I scheduled my Monday the next week retouching her, but everything went awry. (which I didn't want) to just weird. and I put her aside for another repaint date that I hope will turn out well. I grabbed Aki who was another double I had. Aki eventually became just as adorable as my other successful repaints. I have always wanted to see my dolls as unique in their own special ways. But I have never felt this strong about repaints until I tried it. Repainting my dolls renewed my excitement for my dolls even more. I could just stare at them all day, really! Oh my gosh - it just doesn't stop there! and of course an even more creative work week ahead. Let's continue to inspire each other! You did an awesome job on your repaints! I love that you give them a more realistic look, especially with painting the individual teeth! The ladies are gorgeous! You have breathed life into them and gave them personalities all their own. I agree that "if we give extra time for our dolls... we find so much more value in our collection." However, I have to stay in my lane and do what I do best: bRedress, restyle, rewig, and other things that I do well. I have not realized an ability to paint with your expertise so I avoid the inevitable hideous look any repaint of mine would possess. I don't want to mess up an already okay face. Their uniqueness is lovely. You are very talented. You did a fabulous job making your dolls unique! I really love the short haircuts. I wish I had more time to at least do unique haircuts. One day. Thanks for inspiring us to do more.